Let's break down the word biography. So, biography mean the writing about someone's life. So, autobiography means the story of someone's life written by the person who lived it. An autobiography is a book that explains the life of a person, AND the story of the book is the author of the book. For instances, if a book about Steve Jobs was an autobiography, Steve Jobs actually wrote it. A biography is similar to an autobiography, but someone else wrote the book. When someone wrote about Steve Jobs that wasn't Steve Jobs, you would call that a biography. 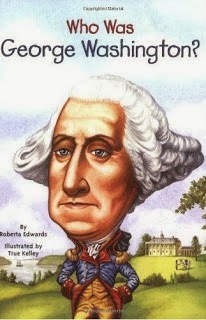 If you clicked on the book about George Washington, you would have seen that it was written by Roberta Edwards. It is a biography. 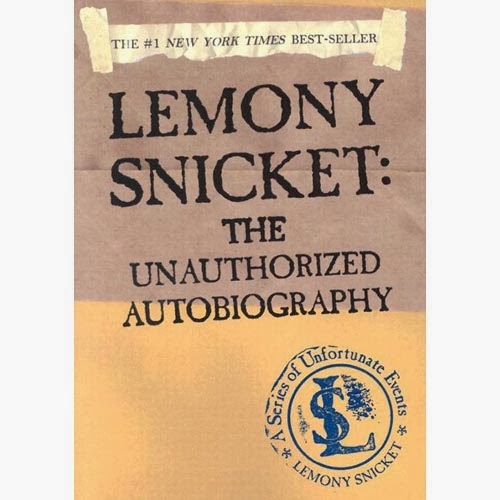 The one about Lemony Snicket (my favorite author) is pretty obvious because in the title it reveals that it is an autobiography. Mr. Snicket wrote his life story. Do you like autobiographies better or do you like biographies better? Please share a fact about a famous person you read about. Was it a biography or autobiography? I never knew what biography really meant, life writing. I also never knew that autobiography meant self-life writing. I like biographies and autobiographies equally. One biography I read was in second grade. The whole class was studying a famous person that was known for a famous thing. For example, I studied Susan B. Anthony. She was known for making women's rights equal to men's rights. I also know that you studied Steve Jobs. Can you tell me some facts about Steve Jobs? 1. Steve Jobs' favorite fruit were apples, so he named his company the Apple. 2. He ate so much fruit that he thought he didn't need to take baths. That is all of the facts I have for now. Do you have any facts for Susan B. Anthony? 3. Created a newspaper called "The Revolution"
11. Women's right to vote affirmed on August 26,1920, by passage of the 19th Amendment to the U.S. Constitution. That is all the facts I have for now. Do you have any more facts for Steve Jobs? Another great post! I enjoy reading both biographies and autobiographies. I think we can learn a lot valuable lessons by reading about the lives of people who have accomplished important things. I recently finished an autobiography written by Sheryl Sandberg who is the Chief Operating Officer of Facebook. She is one of the few women who holds a very important position in a large company. I found her story to be very inspirational because she was able to overcome many obstacles in order to succeed. What is your favorite biography/autobiography? Merry Christmas for Another Year! Edublog Awards :: Voting Open Now!